"Just saved $80.00 on a prescription my daughter really needed. Thanks!" "Thank you so much. Script went down from $145 to $19.99!!! Was out of town and in a pinch. Great to know about." "Thank you for making it easy to print off the coupon. So many sites want you to download a program before printing. You make it easy. Thank you." "With my job recently being outsourced and no insurance in the foreseeable future I was feeling extremely anxious about having my prescription refilled. I went to my local pharmacy and asked for an estimate on 1 month of the medication. The pharmacist tech asked if I had insurance and I told her no. She looked up the price for me with FreeDrugCard.us and I was very pleasantly surprised by the difference in prescription costs! I was able to refill my prescription on the spot at the discounted rate and I'm so very happy and appreciative of this service!" "I have no idea how FreeDrugCard.us works (other than GREAT! ), but Please, keep doing what you're doing. This is far and away the best on-line prescription drug discount card I've ever found. It cut the cost of one of my wife's prescriptions by more than half...what a blessing. Thank You!" "My meds were costing me $100.00 dollars until I found this card online. Now I only pay $32.00 dollars. What a blessing! I am recommending this to everyone I know that is struggling like I am. Thank you!" "I work as a pharmacy tech at a drug store and it's painful to watch those patients without insurance paying so much money on their prescription drugs. So far, this is the best discount card I've ever used for these patients. It saves them so much money from cholesterol meds to high blood pressure meds. Most of the time, it saves at most 75%." "I have had huge savings with this card. I didn't believe it at first until I used it and WOW!! Awesome!! I'm telling all my friends and family about it! My script was $161.00 without insurance and paid $18.00 with this card." "My insurance did not cover my Venlafaxine. In order to afford it, I was only buying a two weeks supply and taking the medication every other day. I was prescribed to take it every day. A two weeks supply cost me about $60. I used this card and got the full month's supply for less than $15." "Just tried this tonight and VERY IMPRESSED. My dog needed a perscription that was going to cost me $87... I only paid $49. My CVS pharmacist told me about this site. Will definitely use again!" "My son's risperdal was $48 without the card at Wal-mart and $13 with the card, and my friends inhaler was $54 ish....without the card and $17 with the card." "I was given a coupon for Focalin, through FreeDrugCard, it is covering 100% of my $60.00 co-pay for a YEAR!!! A YEAR!!! Over $700.00 saving! Thank-you, Thank-you, Thank-you!" "I just saved $88 on my prescription! I was paying $270 for Prontonix 40mg (QTY 30)... I used the card and only paid $182!" "My health insurance was discontinued and I needed my everyday medications...unfortunately, they were going to cost me $220 out of pocket. Then I remembered I had this Discount Prescription Drug Card and I ended up paying $84 in the end. Far better than $220! Thank you, thank you, thank you!!!" "I couldn't believe the saving's from using this card... I used it today at Giant Eagle on Guaiatussin AC that was $32.99 and I only ended up paying $10.38 by using this card... I am very impressed. I passed the word on with my friends and family!" "My plant closed down over two years ago and I am without health insurance...I was in an accident and I still need medications. It was costing me $54 now since I use the rx discount card I only have to pay $18 this is fantastic. I never thought anyone could get anything like this ...and free..."
"My husband and I lost our insurance. This is the card to use to save money. His blood pressure medicine is $74. I can now get it for $14.53. That is quite a difference!" "I have been using FreeDrugCard for a few years. I am so thankful that there is real help out there. I have saved so much money by this wonderful program. Thank God for FreeDrugCard." "Thank you so very much for this service. I don't know what I would ever do with out it!" Save on Your Prescription Medications! Print your Free Drug Coupon Card and save up to 90% off all FDA approved drugs. 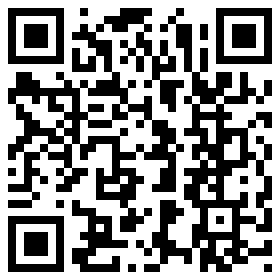 Scan & Save A Reusable Coupon to Your Phone!